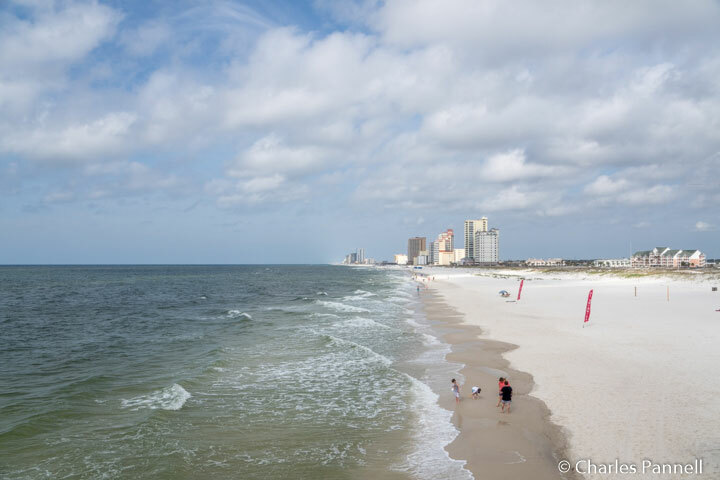 Although there’s no shortage of accommodations along the Alabama Gulf Coast, most people totally overlook a 6,100-acre state park that occupies a prime piece of beach frontage, midway between Gulf Shores and Orange Beach. And the good news is, you don’t have to rough it to stay at Gulf State Park (www.alapark.com/gulf-state-park). Granted there’s an abundance of campsites in the park; but visitors can also overnight in fully equipped lakeside cabins. 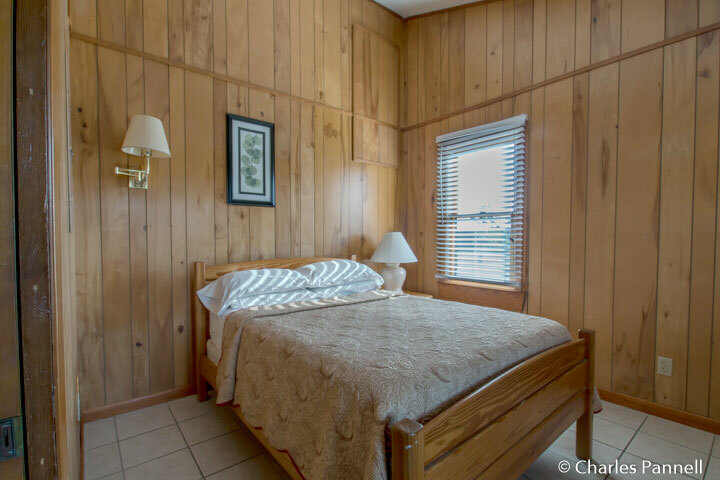 Not only is this the most comfortable option, but it’s also the most convenient, as the cabins are just minutes from the park’s accessible trails and other outdoor attractions. So stay and play in the same place on the Alabama Gulf Coast. It’s truly the best of both worlds. The spacious cabins sit on the north shore of Lake Shelby, near the park entrance. Built twelve feet above the ground in case of floods, most of the cabins have stairs; however some of the cabins were purpose-built to accommodate wheelchair-users and slow walkers. Cabin 8, which sleeps four people, is one of those cabins. Accessible parking is located on a cement pad next to the cabin, with barrier-free access over to a ramp that winds around the cabin and up to the wide front door. Inside, there’s plenty of space to maneuver a wheelchair over the vinyl flooring in the two-bedroom cabin. One bedroom is furnished with a 29-inch high open-frame queen-sized bed with wheelchair access on both sides, while the other bedroom has a 25-inch high open-frame double bed with wheelchair access on the left side (as you face it). Furnishings in the large great room include a futon, an easy chair, and a dining table with four chairs. There are also two bar stools at the small kitchen bar. 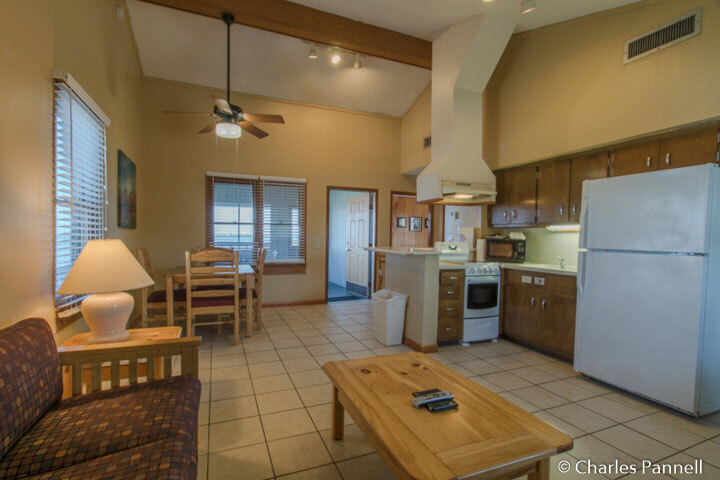 The well equipped kitchen includes a range, microwave, coffee maker and a full-size refrigerator, plus all the dishes, pots, pans and utensils you could possibly need. 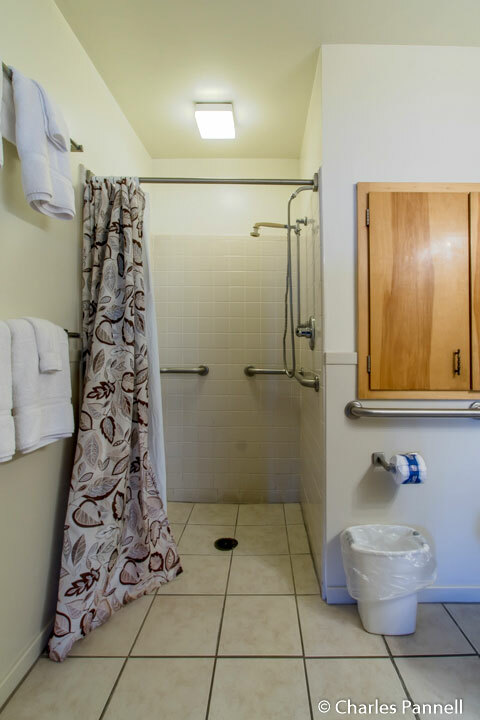 The bathroom is equipped with a 36-inch square roll-in shower with grab bars, a hand-held showerhead and a fold-down shower bench. 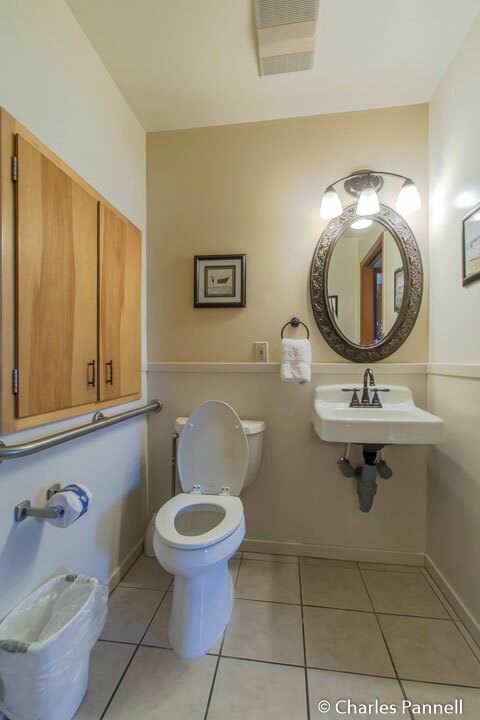 The toilet grab bar is located on the right wall (as seated), and the bathroom also has a roll-under sink and a lowered medicine cabinet with a mirror. There’s also a spacious screen porch with a table and four chairs, and a picnic table and a charcoal grill on the level grassy area in front of the cabin. And if you need a larger cabin, there’s also an accessible three-bedroom model that sleeps six people. Cabin reservations can be made online at guestrez.megahotel.com/Hotel/Reservation/Index/P3R22, but it’s best to call the park directly at (251) 948-7275 to reserve one of the accessible units. 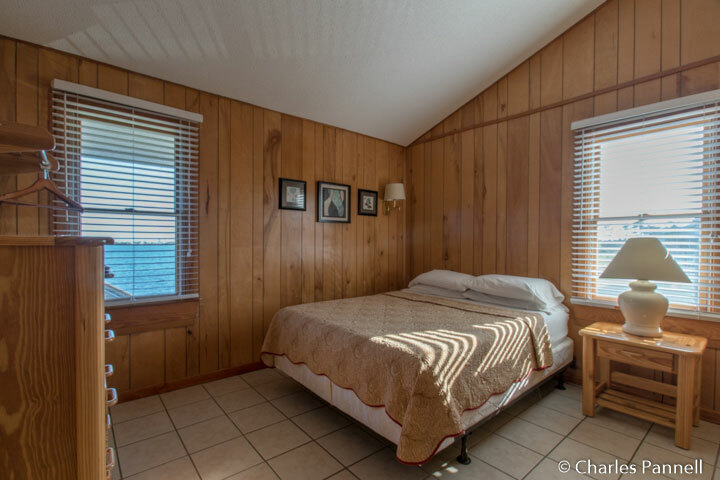 The cabins are located just a short drive away from the very accessible Gulf Oak Ridge Trail. Part of the Back Country Trail system (www.backcountrytrail.com), this 2.75-mile trail can be done as an out-and-back hike, or as a longer loop by connecting to the Twin Bridges, Catman Road and Powerline Connection sections of the 14-mile trail system. The whole loop is five miles long, but you can do as little of it or as much of it as you like. 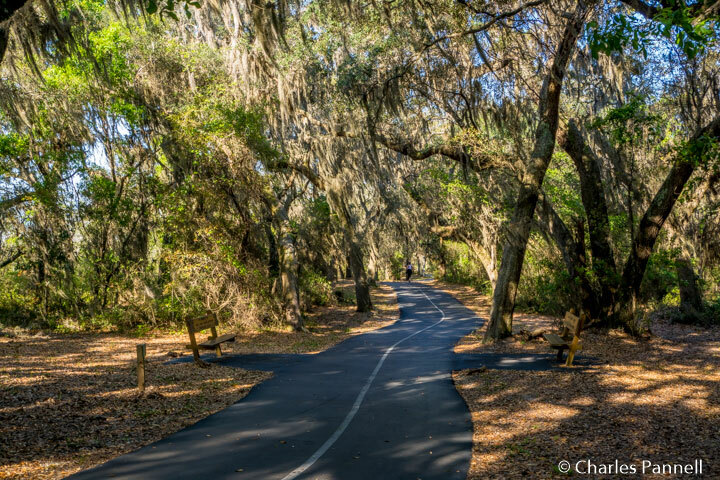 Accessible parking is available near the Gulf Oak Ridge Trail trailhead. From there a level boardwalk leads over to the beginning of the wide paved multi-use trail. The trail continues through the woods and winds along a swamp, with an accessible viewing platform located at the quarter-mile point. And just up the road there’s an accessible restroom and a picnic table on an asphalt pad. As an added bonus, there are lots of quiet nooks to stop and rest along this pleasant cypress-lined trail. It’s a good choice for a short stroll or a longer hike, and it’s definitely a local favorite. 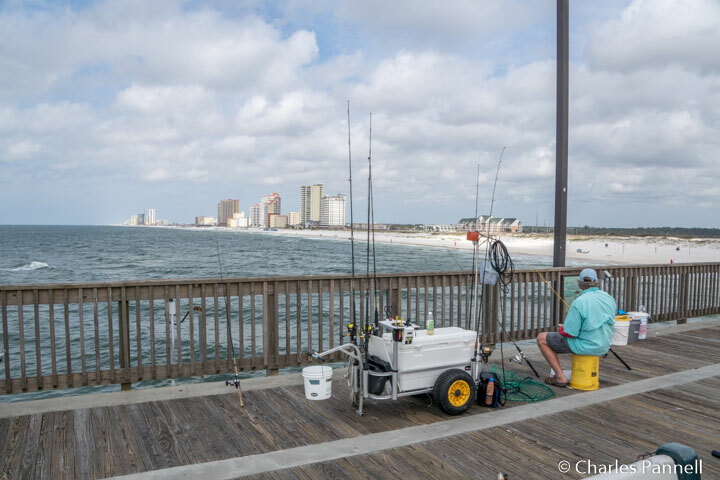 Save some time to visit the Fishing and Education Pier (www.alapark.com/gulf-state-park-fishing-and-education-pier) while you are in the park. 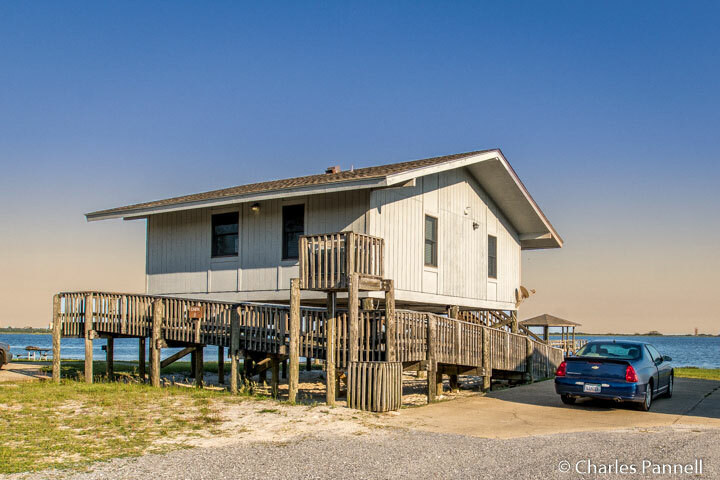 Located at the intersection of Highway 182 and Highway 135, this 1500-foot long pier offers plenty of accessible parking close to the entrance, with barrier-free access out to the pier. There’s a $3 per-person pier admission charge, but cabin guests are admitted free. 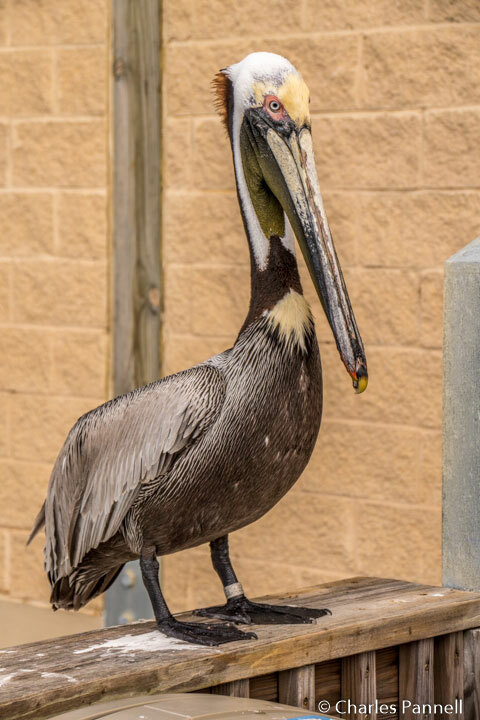 Although it’s largely a fishing pier, there are a number of wayside exhibits about the local wildlife spaced along the rails. Accessible restrooms are located midway along the pier, as well as before the entrance station. And if you’d like to get a burger or some ice cream, there’s also a small restaurant near the first set of restrooms. 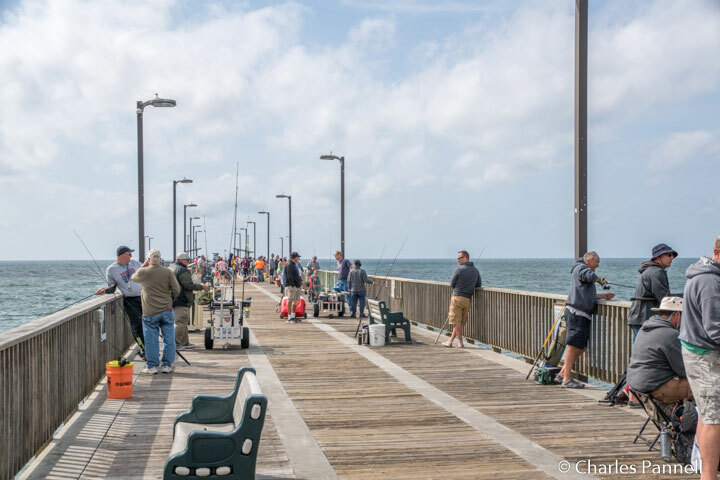 Accessible fishing spots are located along the pier; but anglers are required to have a daily fishing permit and a license, both of which can be obtained at the entrance. Bait and tackle are also available. Billed as the best saltwater fishing spot on the gulf, it’s definitely worth the price of admission. Redfish is the number-one catch, but you never know what Mother Nature will throw your way. And after you’ve caught your limit, head back to your cabin, cook up your catch and enjoy the sunset. It’s the perfect way to end a day at Gulf State Park.